I love how photos and memories pop up on my phone! I have had this app for years but today it truly saved my sanity. Due to technical issues, my iPhone ended up getting reset to factory setting. So I lost everything because I don’t pay for the iCloud backup through apple. Then I remembered I had shoebox and thank god it saved over 8,000 of my photos. I’m so grateful for this app!!!! I want to stop paying for this. I have the latest update for the phone as well as the update for the app and I am still having to refresh the app after a couple of scrolls to see pics from years ago.. it takes Forever to load the pics. Had I known i wouldve lost videos of my son's birth and videos when he was a baby, Id never download this app. Save your response shoebox I've already contacted your support. "Unfortunately, without an original version, it is impossible to determine the exact root cause of the video with sound but no picture issue you are seeing from before." Funny, they worked when I transferred from Android to my first iPhone but all of a sudden no picture when I got my new iPhone. I love this app. However, in short, I have been trying for over 24 hours for shoebox to finish downloading 49 photos, of which 19 are still waiting! 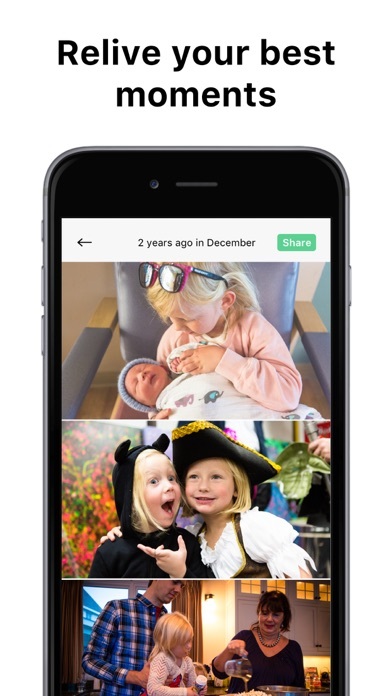 Google photos as one example downloads within a few minutes. Shoebox has always been the tortoise. If they don't soon rectify this I'm going to get rid of them. It's very annoying! 4/8/19 update: great app works really well now. One of my favorite apps. 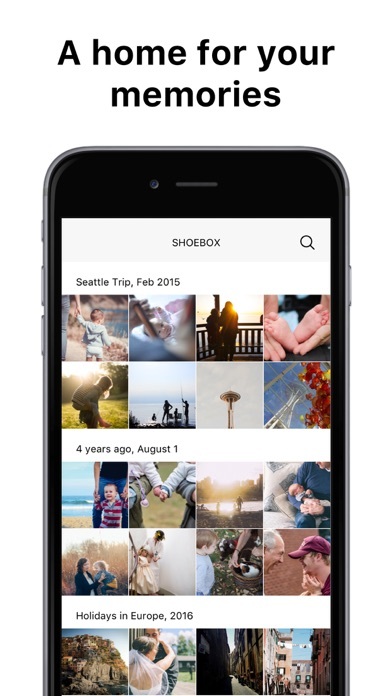 Shoebox has come a long ways since my first review. They really put a lot of effort into this app and it shows! Thanks shoe box! I highly recommend this App!! 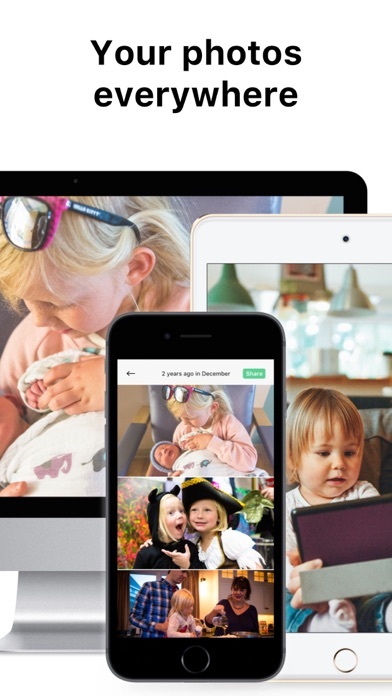 Is sincerely the best photo storage App there is!!! 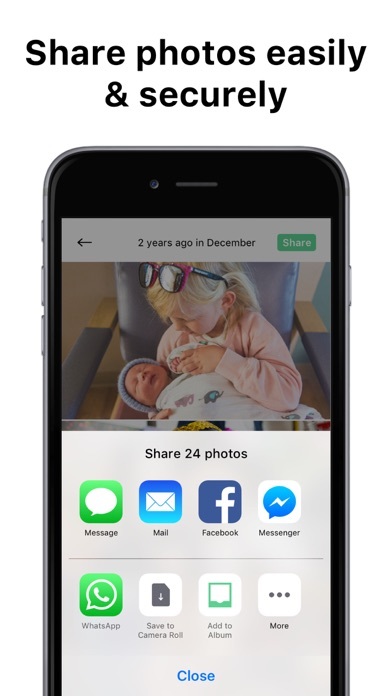 Lots of people with iPhones will experience “storage full”. Not me, but my girlfriend all the time. It can be hard to get the right picture the first time, so multiple pictures need to be taken. Those just fill up your phone and you may not even want them. 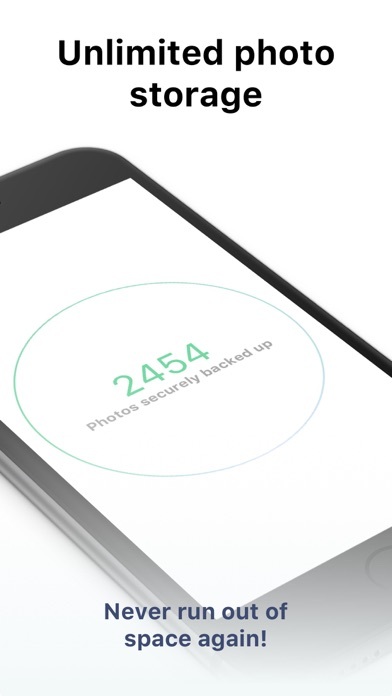 Shoebox makes it convenient to be able to delete photos off your phone knowing that they are backed up. Surprises are sometimes good and other times not so good. This is like that. Sometimes you see things/people that you want to see and sometimes you see things/people that you don’t. Such is life!